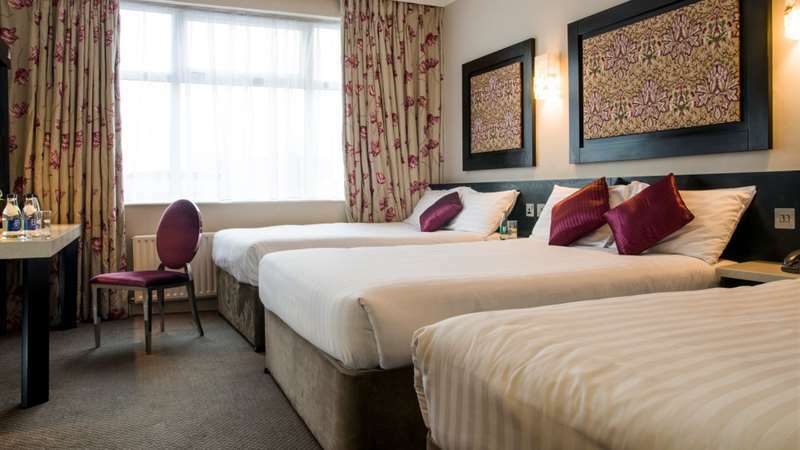 Our comfortable hotel rooms are ideal to relax in, after a day of discovering Galway City's sights or a busy day of meetings. Each bedroom is tastefully decorated, warm and inviting. One of the leading hotels in Galway the perfect location for your Galway City break. Free Wi-Fi, TV, en suite bathroom, tea/coffee making facilities feature in this room. Accommodates 3 adults.